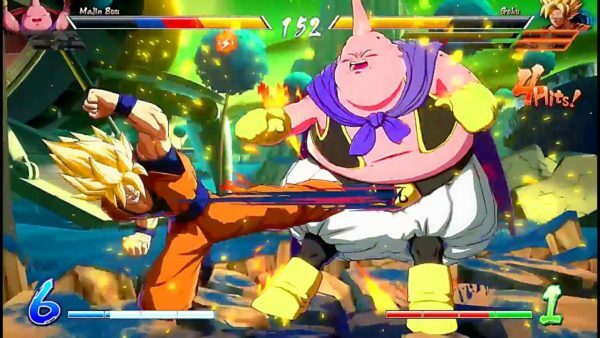 I, alongside many other people, partook of the open beta for Dragon Ball FighterZ this past weekend and Monday. While the beta certainly had some issues, I was able to at least get into a few matches and do the training mode, and these are my impressions of what Arc System Works and Bandai Namco presented. The closest game(s) I could relate to DBZFZ are probably Guilty Gear Xrd or Persona 4 Arena, both previous Arc System Works games. 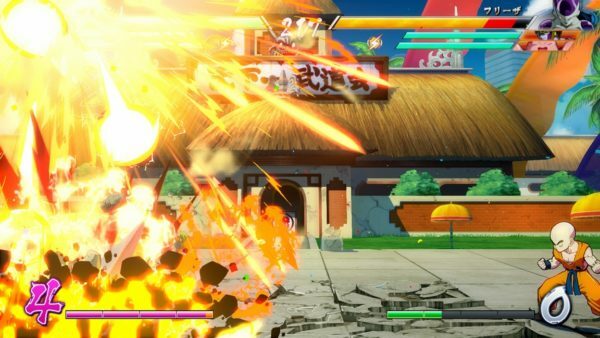 At its core, DBZFZ is a four button fighting game, light, medium, heavy attacks with a separate button for a basic Ki attack, which does flashier beam moves. You still do special attacks with the main attack buttons along with a D-Pad curve. However, each character also has their own move-set. Aside from the main buttons, you can use L1/L2 to tag in your other two characters, either for a quick attack or to replace your current fighter. While R1 is used for your Meteor Attack, which is a flashier super move. Pressing R1 and R2 together activates a Burst attack, which you can only use once during a fight. This Burst attack amplifies your attack somewhat and restores your health. When you don’t have the full team remaining, it amplifies the effects. Basically, the Burst attack is the X-Factor equivalent of Marvel vs. Capcom 3. 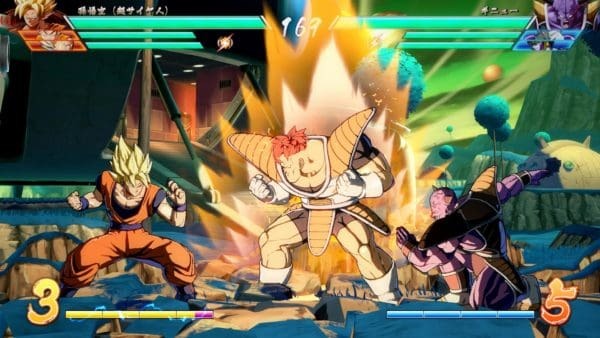 Basic fighting in DBZFZ was a lot of fun. Your attacks combo together very well. And you can pull off 10 or even 20 hit combos just kind of by button-mashing. There’s even a 30 hit + combo you can do by doing a Dash move with R1. However, it’s not to say there isn’t skill in the fighting system. Someone who knows what they are doing can easily counter you. But, for a new player, you actually can get pretty far by repeatedly hitting square. There are two DBZ-related mechanics to this game. The first is that you can charge up your super meter at a whim, just by pressing Square and X together. This mechanic is really in most (if not all) of the DBZ games, so it’s not that special. However, the other mechanic of summoning Shenron is. 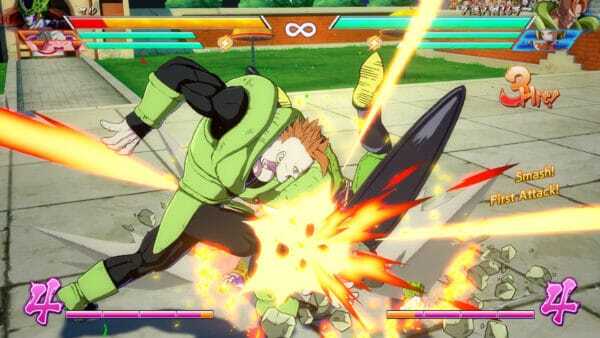 As you fight and do attacks, Dragon Balls occasionally fall out of the other fighters. Then, the dragon balls, which each have their own number, fill up their spot on the bottom of the screen. Once all seven balls are collected, if you do another combo while at max level, you can summon Shenron the dragon. Who then will grant you a wish. The wishes are as follows: reviving one of your characters if they get knocked out. Health regeneration. Immortality (which is limited invulnerability for a time), and finally “granting more power”, which gives you access to another Burst attack. I imagine summoning Shenron in the full game may require more work than it seemingly does in the beta. Perhaps, you have to do some specific things to accomplish it, but still, this is a very cool idea. 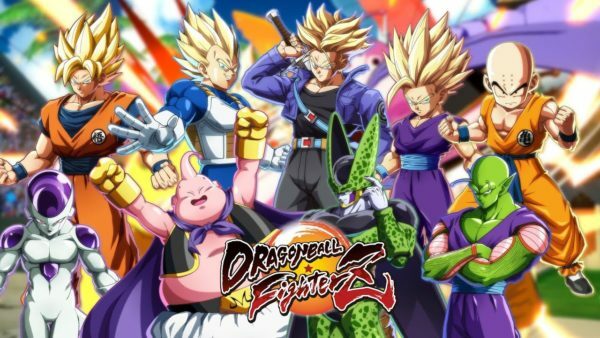 All that aside, the beta was a bit of a mess, and Bandai Namco acknowledged the issues. The first day it took me about 25 times to actually get into it. Another staff member, Sean Garmer, also tried and it took him just as long to finally get to the screen that lets you pick your region. Anytime I would try to match-make, I would get booted from the lobby, or, it would never prompt you to have a match at all. For example, I was in a lobby with Sean and three other random people, both Sean and I queued up for a match and nothing happened. After 10 minutes of waiting, and even switching to a casual match after that, we got frustrated and quit. The beta did thankfully allow for the training mode, which didn’t go as in-depth as Guilty Gear Xrd’s modes, but it did provide the basic fundamentals and some advanced techniques. The second day of the beta was much more stable, and people could get into matches. I imagine Bandai Namco was unprepared for the popularity of the beta, and if they wanted a stress test, they certainly got one. To make up for the problems, Bandai Namco is offering an extra day of the beta sometime before release. Overall, even if it was brief, I did highly enjoy my time playing Dragon Ball FighterZ. It looks fantastic, plays smoothly, and has some good Dragon Ball Z-inspired nods in its gameplay as well. There are even Chibi versions of the characters in the lobby, which is extra cute. The game comes out on January 26, on PlayStation 4, Xbox One and PC. It should be well worth it for fighting game and DBZ fans alike.